For people who love to cook and entertain, and want the highest degree of performance and flexibility while doing so, the BlueStar refrigerator, whether in the new French Door or original swing door, is a kitchen essential. BlueStar®, manufacturer of high performance kitchen appliances for the home, is introducing a stunning new French Door model to its award-winning, built-in refrigeration line, bringing a new level of function and customization to home chefs. The BlueStar® French Door refrigerator is the latest addition to a line that offers commercial styling and state-of-the-art engineering, designed and built exclusively by BlueStar® in the USA. The new French Door model is ideal for homeowners with tighter kitchen space. With durable stainless steel interiors, dual compressors for enhanced food preservation and exceptionally roomy interiors, the BlueStar® Built-In Refrigeration line is made for serious cooking and entertaining. The refrigerator’s fully extending bottom shelf is designed to fit a full-size commercial sheet pan — as is the freezer shelf – that way, extra-large pans prepped with pastries or hors d'oeuvres can go straight from the refrigerator or freezer into an oversized BlueStar® oven, another brand hallmark. Since the interior is fully customizable, shelves and bins can be easily changed to fit any storage or entertaining need. When special occasions come around, the shelves are fully flexible to handle large food trays or oversized cakes. The refrigerator also features extra-large, fully-extending drawers with soft, self-close glides, making it easy to access items quickly and easily. 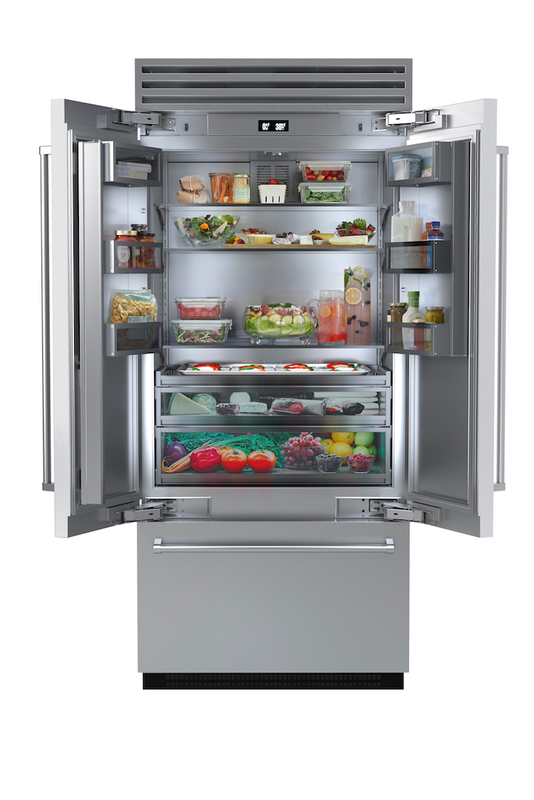 The new French Door Built-In Refrigerator joins a full suite of commercial-style appliances that seamlessly blend power and performance, mixing sleek design and technology with the ultimate in flexibility. With the recent expansion into premium refrigeration as well as electric appliances, BlueStar® continues to build upon a 135 year-old heritage of innovation by offering serious home cooks a turnkey solution for a top-performing, bespoke kitchen. For more information, visit http://www.bluestarcooking.com.